Lock in a great price for Whitepod – rated 9.3 by recent guests! The Pods are very well designed and the view is incredible! It is so relaxing and we loved the breakfast and tea time in the Pod house. Furthermore, the restaurant les cerniers is delicious and a little bit adventurous when you return to the pods in the dark. Great location with amazing views. Very comfortable pod room with spacious bathroom. Beautiful design inside pod. Restaurant had amazing food. Breakfast on deck was nice. Everything! The pods are awesome. The hiking trails are really well laid out and very beautiful. I had an entire ski slope to myself. The food is delicious. The staff are really friendly and helpful. The attention to detail from the moment you book to the moment you leave is amazing. A very spacial place. Wonderful staff, excellent breakfast, and good vibe all day long at the pod house. We also enjoyed all of the available equipment to go snow shoeing and sledding. The concept is amazing. Being in a yurt but will all the facilities makes you enjoying the nature in the most comfortable way! The staff, experience and room were absolutely wonderful. We loved everything about it and want to return! Every wish I had they made it happen and they were always friendly. I highly recommend this to couples but also families. Interesting and unique experience. The setup is wonderful, pretty romantic and bit adventurous in the night :-). Staff very helpful and friendly. Food in the restaurant was very good and the red pepper in the dessert was a courageous choice. :-) I would like to have more places like this in the world. 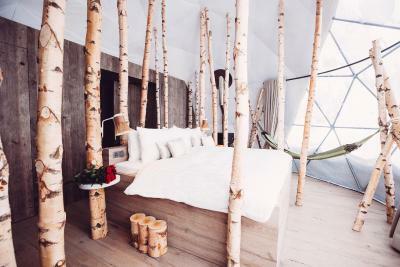 Set at 5 feet above sea level, Whitepod offers accommodations in a collection of pods anchored on a wooden platform. 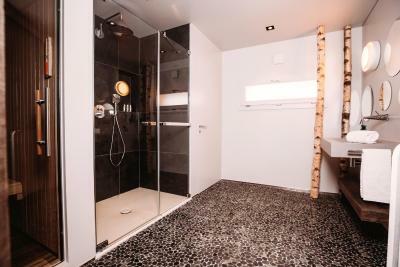 Each pod comes with a pellet stove and an private bathroom. During winter, 2 ski slopes are available on weekends and during holidays. Dog sledding tours in winter and hiking with dogs in summer, paragliding, guided tours and massages can be organized on site. 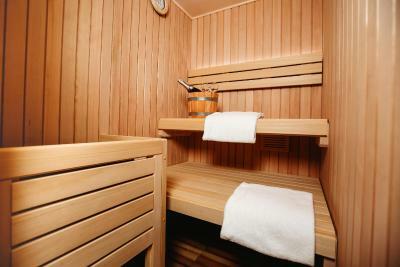 16 mi of signposted trails and a sauna are available all year. Whitepod includes a central chalet with a sauna and a bar. Buffet breakfast is served here daily. Each of the pods has a floor-to-ceiling window facing the valley. There is also a small terrace at the entrance. Located in the village of Les Cerniers, the resort is a 25-minute drive off the A9 motorway to Martigny. This property also has one of the top-rated locations in Monthey! Guests are happier about it compared to other properties in the area. 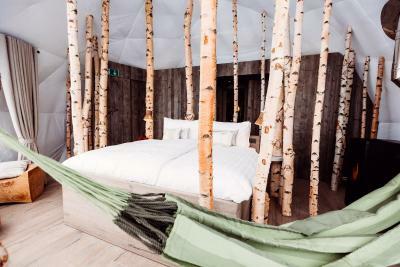 When would you like to stay at Whitepod? A spherical cottage perched on a wooden platform, the pod is decorated with unique antique objects from the region and features large bay windows, a pellet stove and panoramic mountain views. The bathroom is en-suite and guests can relax on a furnished terrace. As extra beds are on a mezzanine, guests in extra beds would have to climb up a ladder to access their beds. This family pod has a balcony, panoramic view, fireplace and 2 single beds on the wooden gallery. It features free WiFi, continental breakfast delivered to the pod, a balcony, an Apple and satellite TV and a mini-bar with free soft drinks, including free Nespresso coffee machine with an unlimited supply of coffee capsules and possibility of massages inside the pod. 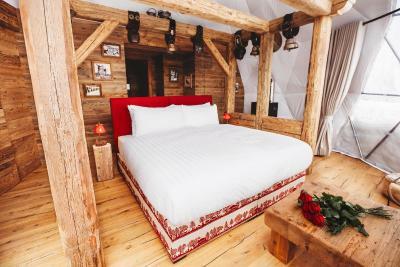 This pod suite furnished with old wood and bells features panoramic views of the Alps in a Chalet atmosphere. It offers a private sauna, a pellet stove, a large terrace, a Nespresso coffee machine and a tablet with Netflix. A fully stocked bar is included and massages can be arranged inside the pod. This pod suite in the forest features a hammock in the trees, a large terrace with views of the Alps, a private sauna, a pellet stove, a Nespresso coffee machine and a tablet with Netflix. A bar with a selection of beers and local liquor is included and massages can be arranged inside the pod. This pod suite features a private sauna, a large terrace with views of the Alps, a pellet stove, a Nespresso coffee machine and a tablet with Netflix. A bar with a selection of Champagne and gin is included and massages can be arranged inside the pod. This suite has a balcony, sauna and fireplace. House Rules Whitepod takes special requests – add in the next step! Whitepod accepts these cards and reserves the right to temporarily hold an amount prior to arrival. The pods are not directly accessible by car. Clients arrive at the Chalet des Cerniers, where the restaurant and reception are located, then access the pods on foot or skis. Would be good to have softer covers for the slightly colder evenings in the pod. Love the idea of the Swiss army covers but they are a bit scratchy. The service and the food in their restuarant, Les Cerniers. The food has no taste at all and bad service, we wait more than 15 min only to receive the menu. The experience was great, a fantastic hotel. Cost of buying a glove was too much. Amazing staff, facilities, views were so beautiful. The world experience was like a dream and wonderful. Would highly recommend families to go there and enjoy the place and food. Everything was fantastic in the pod and the facilities provided by them as well. Too much walking to and from the pod to the car/ reception/ restaurant. Food wasn't amazing. The pod is unique and the area is pretty. Very nice staff. Would be better if there was complementary WiFi within the pods. Food could have been better.. Fantastic place, we stayed there for 2 nights and absolutely loved it. We made use of the free walking poles and snow shoes to go on a trek around the surrounding area, extremely peaceful. The lodge near the pods provided a great place to relax, play boardgames and drink hot chocolate. The free afternoon tea and cakes from 3-5pm was a nice touch. We both had massages which were nice but a bit expensive at 120 CHF/ 1 hour. The restaurant menu felt a bit limited considering its the only place to eat nearby. Strongly recommend staying at the Whitepods!